Right from childhood, we learn prejudicial attitudes, by observing stereotypical roles that this society assumes. The word “stereotype” is defined by Merriam and Webster’s online dictionary as, “to believe unfairly that all people or things with a characteristic are the same”. Despite making advances to the establish equality of sexes, we still tend to have some misconceptions about men. And through those misconceptions, many have emerged breaking all those stereotypes. In recent times, numerous people have transformed the fashion scenario, where men have started experimenting and breaking gender stereotypes in ways that raise eyebrows. 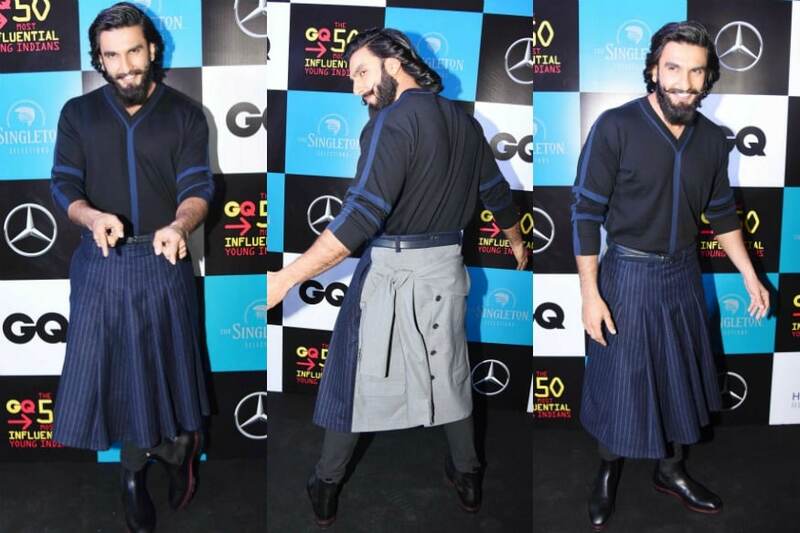 We’ve seen Ranveer Singh flaunt skirts publically and the runway has seen many a designer showcasing kurtas that end in a flowing skirt, topped with a jacket. Clothing always is a bang with the right accessories. Speaking of which, men have started rocking jewelry too. 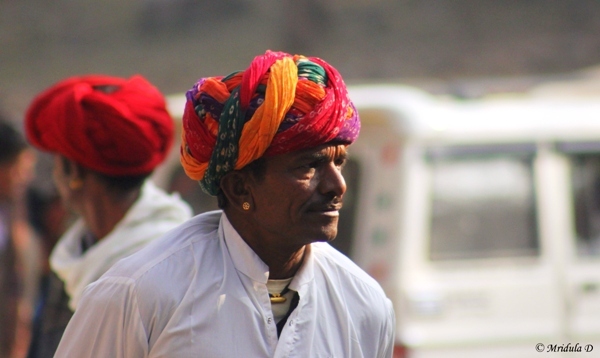 In Rajasthan, men sport baalis (earrings) in both ears and have also taken to having both their ears pierced to don simple studs, which some pair with a heavy beard to “balance” the gender factor out. For me, Aamir Khan in Lagaan began it all. Not only have the big screens, but the silver screen has also had many such instances where they have very beautifully depicted some eye-opening scenes. There have been many advertisements too, which show the common stereotypes that we generally associate with. How many of you remember Havel’s ‘Hawa Badlegi’ advertisement? Let me tell you. A couple sitting at a registrar’s office, with the husband taking the wife’s last name and making the official do a double take. A brilliant yet simple take to break the gender stereotype. Men are increasing their presence in dances, usually performed by women. These men not only pursue this as a hobby but have made it their profession and source of livelihood. One of the greatest examples has been Birju Maharaj.Birju Maharaj has been the greatest exponent of Kathak. He had started dancing from the age of 7. His family includes legendary Kathak dancers — his uncles Shambu Maharaj and Lachhu Maharaj and his father and guru — Achkan Maharaj. He is truly the biggest example of a living legend, someone, who refused to get bogged down with society’s shackles.Kathak means to tell a story in the form of a dance. (Katha: a story). Similarly, ballets depict a story too with their focus being “to dance or to jump about”. One of the greatest names in ballets has been Mikhail. Born in 1948, in the Soviet Union, Mikhail moved to Canada for better opportunities in western contemporary ballet, something his country couldn’t give him. He began as an aerial dancer in Canada and went on to do solo Russian ballet classicism with a tinge of classicism. He was also the first crossover ballet dancer of the ‘70s. Tito Seif an artist from Egypt will leave you gobsmacked, in just minutes of his performance. His swaying of hips mesmerized the audience with remarkable belly movements. 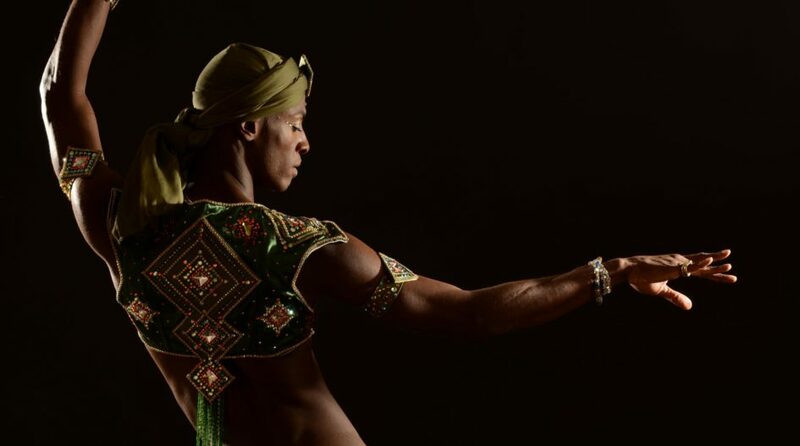 Regarded as the only world-famous male belly dancer, Tito started his dance career as a folkloric dancer in Egypt. There has been a transformation over the past 20 years where his style has transformed into a more commercial and oriental one. His aim was to popularize belly dancing among the men. So, his show called the ‘The Tito Show’ in Egypt conducts numerous male belly dancing classes in many countries all over the world.